Today's high-efficiency air conditioners use far less electricity to do the same job as older models. If you're tired of dealing with uncomfortably hot rooms, high cooling costs, or the hassle of moving window units around your home, it's time for an air conditioning upgrade. Dr. Energy Saver installs energy efficient AC systems that will keep your home comfortable while helping to reduce your utility bills. We offer several different types of air conditioning systems, allowing you to get the right one for your needs. In addition to new system installation, Dr. Energy Saver can also help with all your air conditioning repair and maintenance needs. Our experienced professionals know how to keep your system operating correctly and efficiently so your home stays comfortable. If you're interested in increasing your home's value and comfort, contact your local Dr. Energy Saver to get an estimate on installation of one of our proven air conditioning systems. 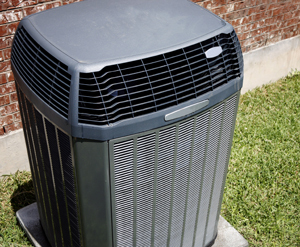 Before installing a new air conditioning system, it's wise to study your options. There are many types of systems, each with varying capacities, efficiencies, and requirements. Simply pulling out your old unit and replacing it with a similar unit is a missed opportunity to save money and to improve comfort. Dr. Energy Saver will help you identify the source of comfort problems and energy loss in your home, whether the problems lie with the AC unit itself or factors such as uninsulated ducts or air leaks. Our experts will recommend the solutions for your specific needs and help you get a complete cooling system that works perfectly for your home. Ready to be done with uncomfortable rooms and expensive cooling bills? Dr. Energy Saver is here to help you with all your air conditioning needs, including installation, repair, and maintenance. Contact your local dealer today to get started with an evaluation and estimate!